Established in 1980, GPSTC has been training the public safety community longer than any other institution in Georgia. GPSTC’s training divisions include: the Georgia Police Academy, the Georgia Fire Academy, the Basic Training Division and the Instructional Services Division, which are the state’s leading providers of certified basic, advanced and specialized training for public safety officials. 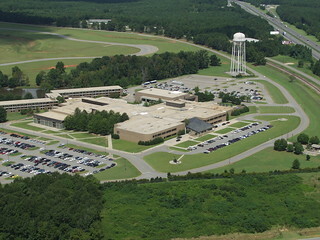 GPSTC’s main campus encompasses nearly 1,000 acres and is centrally located just off I-75 in Forsyth, Georgia (Monroe County). The comprehensive training complex includes many state-of-the-art facilities designed to give students both classroom experience and real world skills. To honorably represent the state of Georgia through devoted dedication to the Public service of our citizens, committing to improving the level of professionalism in the public Safety community by offering state of the art Training, and distinguishing ourselves as the Nation’s premiere Center for learning and growth. Under the leadership of Director C.G. Wigginton, GPSTC employs the best and brightest. Full-time and adjunct instructors at GPSTC are the foremost authorities in their respective fields with the experience necessary to design and deliver superior training programs to a range of public safety officers—from those just beginning their career, to seasoned professionals seeking specialized and advanced instruction, or those looking to progress into executive, supervisory or management positions. In addition to GPSTC’s training divisions and administrative offices, the training units of six resident agencies are located within the main academic complex. Those agencies include: Georgia Bureau of Investigation (GBI), Georgia State Patrol (GSP), Department of Natural Resources (DNR), Department of Community Supervision (DCS), Department of Juvenile Justice (DJJ) and Georgia Emergency Management Agency (GEMA). The Department of Public Safety Motor Carrier Compliance Division, the Georgia Firefighter Standards and Training Council and the Al Burruss Correctional Training Center are also located onsite.